The old European sage at Congregation bet Torah was a gentle Rabbi by the name of Hopcraft, a man whose very presence inspired respect and admiration. As if his age were not reason enough to honor Rabbi Hopcraft, his congregants knew that his experience was. He had weathered the seasons with his synagogue in the brutal landscape of 1940’s Louisiana until now; the Rabbi deserved a medal. Judaism in the South had endured persecution, defacement and evil threats to retire any Rabbi in one decade alone. After years of controversy, the temple was still standing – and recognized as one of the oldest Southern Jewish synagogues in America. It was a deeply held tradition – and a personal desire - that Rabbi Hopcraft could choose his replacement. As the old Rabbi neared the age of final retirement, he didn’t look forward to the task. His choices for Senior Rabbi made him sigh with disdain and shake his head. His poor congregation didn’t know how he wrestled under the responsibility of leaving them with the best Rabbi for their growth and enlightenment. There was the obvious choice of the eldest Rabbi, Dr. Wolfe, who had a PhD and many framed certificates on his wall. He impressed the whole congregation with his knowledge of History, but the man seemed more suited to leading the Progressives. His head was always covered in some fun-colored yarmulke, like the one he wore to shul, with the silver metallic landscape of Jerusalem around the edges, or the suede grey one he wore to Safeway in view of all the goys. Rabbi Wolfe had been faithful to the congregation and to him, visiting the sick and the downtrodden, but secretly Hopcraft detested him. As Wolfe professed to know so much about the faith, Hopcraft only trusted him to answer only menial questions, asking him to defer to himself for serious issues. Who could really trust a Rabbi who wore a neon green yarmulke to a briss? The young Rabbi, Silverman, was out of the question completely. His services were dry, reading the Holy Book with such apathy that it became jejune. How could he possibly trust the bumbling nephew of some influential Rabbi in New Orleans with words that transcended life, each one beautiful, potent and powerful? As if this was not bad enough, the young Rabbi had a terrible habit of slathering compliments on Hopcraft like his wife used to grease the chickens before they were roasted. Silverman made a point of finding him at every social meeting he attended and standing next to him, heaping piles of such clumsy praise on the elder Rabbi that he would be tempted to tear his clothes and weep to the heavens. In between the flippant scholar and the clueless sycophant was Rabbi Eliezer Helm. Helm was a humble man, fattened and bald with almost no ambition or vision for the future. He had managed to inherit his father’s fortune and still remain single – a feat of note in Shreveport, where the Jewish women outnumbered the men three to one. Helm had spent ten years with Hopcraft at Congregation bet Torah doing the impossible: bringing the progressives and the conservatives together as one. He had been a cantor in his youth, but his father, a Shreveport businessman, recognized that his son would never be happy until he had completed the sacred path of becoming a Rabbi. After four years at Columbia University, the elder Helm enrolled his son in the Jewish Theological Seminary in New York. 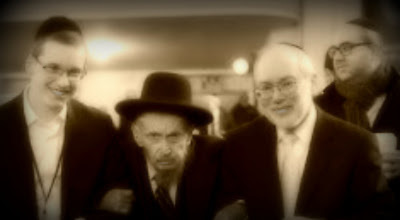 It was a long stretch of twelve years that the Helms were without their only son, but Rabbinical school was worth it to the family – or so they told Rabbi Hopcraft. For six years, Rabbi Helm studied and absorbed enough to become a serious Rabbi. He spent one additional year in Israel, as is the good custom. He returned to Shreveport with much less hair than when he left, but with much more compassion. Hopcraft was amazed at the heart Helm had for the people. He read the Holy Torah with such feeling it made others weep; he had the heart of a cantor and the wisdom of Solomon. He was lacking only one thing: a good woman. This lack made him seem misplaced as a Louisiana Rabbi. Maybe New Yorkers could get away with that deficit, but down here in the south it was a different story. Hopcraft thought of Esther, his own wife. She adored him while she was alive, even though he had been a hefty man himself. In his youth he had rotund vigor, and their union had produced six children. All had families of their own now; all still lived in community. Time being the merciless beast that it is tore Esther away like a thief. As the Rabbi grieved her loss, his fatness left him. Folds of skin now hung from his face, chest and flanks like pillowcases, once filled with merriment, now empty and sagging. It had been ten years and Rabbi Helm remained wifeless. Hopcraft lamented the young Rabbi’s lackadaisical attitude. He knew that a Southern Rabbi had no chance of inheriting a congregation if he was unmarried. He wondered many times, from the solace of his office, what could be done. In April, the young woman arrived from Brooklyn. She was niece to Ruth Simon, a beautiful old woman who was a regular at Ladies Temple Society. She had recently become incapacitated and hired a nurse, but the young woman heard about the dilemma and rushed to her Aunt’s side like a good Jewish girl. He had seen her at Temple - she was a small girl, she didn't seem to be attached to anyone. “There is no need, good Rabbi,” Hopcraft adjusted his hat and coat, trying to show the young man he was ready to pass into the hallway. “Don’t you have an intended?” Rabbi Hopcraft pushed past the fawning idiot and into the hallway where he could breathe. “Yes, I do! Sarah Littleton and I will be married in January of next year,” Silverman sounded proud of himself as if he had been the magnet to entice Miss Sarah Littleton into marriage. She was surely a weak-witted girl with little or no prospects in New Orleans, where the Silvermans bewitched her into marrying their nephew. He enjoyed the look of confusion on Silverman’s face. It looked as if he had shut the young Rabbi up once and for all; instead it caused another outpouring of nonsense words. Rabbi Hopcraft continued down the hall and stopped at Rabbi Helm’s door. He rapped twice with his knuckles on the frame, causing Eliezer to look up from his book. Rabbi Helm looked blankly at Hopcraft, shrugging and nodding as he stood. As he stretched with the laziness of a cat, the old Rabbi would hear Silverman behind him. The widow Simon’s house was an ancient structure that was beautiful from the street, but at closer examination needed paint and new screens. The girl came to the door to answer and Rabbi Hopcraft saw that she was as the house was. In the service she seemed beautiful, but at closer inspection she was not much to look at. Her eyebrows were bushy and a mole came out of one of them. Her face came to a point at her chin, then gave way to a long neck and bony shoulders. They girl looked like a modern day Olive Oyle, complete with knobby knees and clothes that were woefully unflattering. “We are here to see the aunt,” Rabbi Hopcraft said, sadly. From behind him, Rabbi Helm removed his hat and bowed in courtesy. “Please come in,” the girl said, smiling. It took the edges away from her face and made her appear a little rounded, especially in the face. She pushed the screen door open, making a small passage for both Rabbis into the main sitting room. Rabbi Helm had to squeeze through and accidentally brushed the girl’s arm, making her apologize and blush furiously. “I’m not an Hassidic Rabbi, please be at ease…” Rabbi Helm was smiling and the girl was, too – Hopcraft was secretly delighted. “Would either of you like a drink?” the girl looked as if she was still blushing. “I am Esther,” the girl said, bowing slightly. Rabbi Hopcraft was taken aback, feeling a rush of emotion just for the mention of his dearly departed wife’s name. The girl bowed again, and then disappeared to the kitchen. “A good girl,” Hopcraft said to Helm, who watched the girl retreat with some interest. For a moment, both Rabbis looked around the room and did not sit. There were bookshelves lining the wall, all covered with sentimental items: pictures, doilies, statues and teacups. A bag of needlepoint lay open at the end of the sofa. A golden birdcage in the corner held a small, stuffed bluebird, perched like it was ready to sing. The room had particles of dust floating through the air and it made Rabbi Hopcraft cough, a feeling of heaviness descended upon him. “I think I need to sit down,” he said to Rabbi Helm, who had been looking at the framed pictures on the wall. “Here, good Rabbi,” Helm touched the back of a high-backed chair, doilies draping the arms. Rabbi Hopcraft sat, but the pressure remained. He coughed again. Then the pain came like lightning, clamping down like pliers viciously gripping his heart. The old Rabbi’s hands flew to his chest, dropping the hat he held on the floor. He heard thumping, like an elephant running on the wood floor. He looked up to see the girl, Esther and Helm looking down at him with panic and fear. “Am I dying?” he wondered. It was terrible, the pain. He squeezed his eyes shut tight and cried out for relief…any relief. He opened his eyes. The two were still staring back at him, panicked. Rabbi Helm’s face seemed larger and bloated, but he realized it was because the Rabbi was crying. Rabbi Hopcraft wondered if the couple understood him. There was the terrible pain, a terrible long grip. The pliers continued to clamp down, and then there were the sirens and the blackness. The blackness surrounded him and he surrendered to it, helpless to change any part of the future.